I have encountered the following issue looking at my profile, see it in the photo. This also happens if I change the browser or log off from my account or even if I check from my phone, and it also appears while looking at other users profile. It might be related to my previous question, although there I was using my smartphone. Is there something that I can/should do in order to fix this? As I mentioned in the comments, this was a side-effect of upgrading to MathJax 2.7.5. The core of the issue is described in detail over on GitHub. Many thanks to Davide Cervone for pointing me in the right direction and suggesting a fix. It's deployed in production now. Please let me know if you see any other oddities. Not the answer you're looking for? 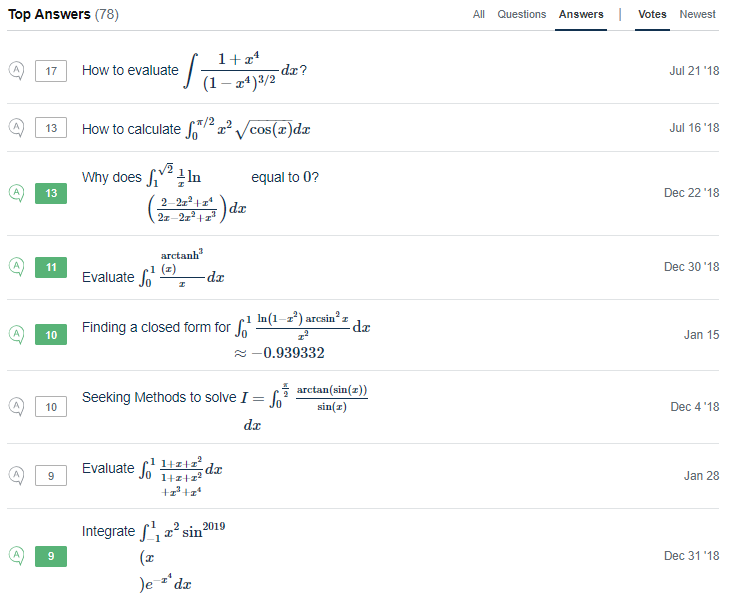 Browse other questions tagged bug status-completed mathjax profile-page . MathJax formatting on mobile site. No MathJax rendering in preview windows. Should we already give up using Chrome in MSE? Bug in the “History” tab of “Close votes”?